The passionate team at Jabrock Eyewear fashion premium, handmade eyewear inspired by motorsport. They are crafted from specialist wood found on modern day racing cars. In 2019, working with us, Jabrock will launch their new (first of its kind) RACE edition using actual raced F1 plank from our historic & unique stock. Follow jabrock_eyewear & racing_gold on Twitter & Instagram for latest news & competitions. 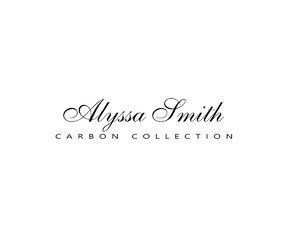 Our 2nd collaboration is with Alyssa Smith Jewellery. Please click on the link below for more details. AND WILL INCLUDE EXCLUSIVE BEHIND THE SCENES ACCESS FOR THE MECHANICAL NERDS! YAY! From the outside, Formula One cars are sleek, smooth, aerodynamically refined and very fast. Beneath that shiny exterior lie mini pieces of engineering ingenuity, each component playing its part in ensuring speed and reliability. They are small pieces of manufactured art - and the Red Bull Racing Formula One Team in conjunction with Racing Gold, has decided to evolve these components into very limited edition functional objects. The cars are designed, created and crafted in Milton Keynes and then raced around the world. Racing Gold has taken the spirit of the Formula One team and moulded them into intriguing, beautiful and modern sculptures which retain the essence of their racing pedigree while being re-born as practical works of art. From lights fashioned from aerodynamic elements to mirrors which take their DNA from the discs which scrubbed the speed off the car's wheel, the part of the team collection breathes into each new life, form and function. They'll also be one hell of a talking point in any room. Each piece of the PART OF THE TEAM Collection comes with a certificate of authenticity and a history of where each part was raced or used by the team. 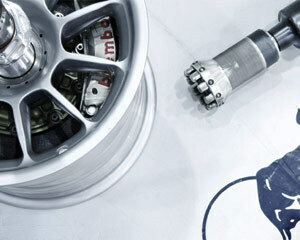 Several will include a tour of the team's formula one factory and headquarters in Milton Keynes, UK. PART OF THE TEAM is a collection of unique, functional art, hand-crafted from pieces and parts which have run and have raced on Red Bull Racing's Formula One cars. Racing Gold are proud to announce a new collaboration partner for 2019. Please keep an eye out for the launch in the coming weeks.